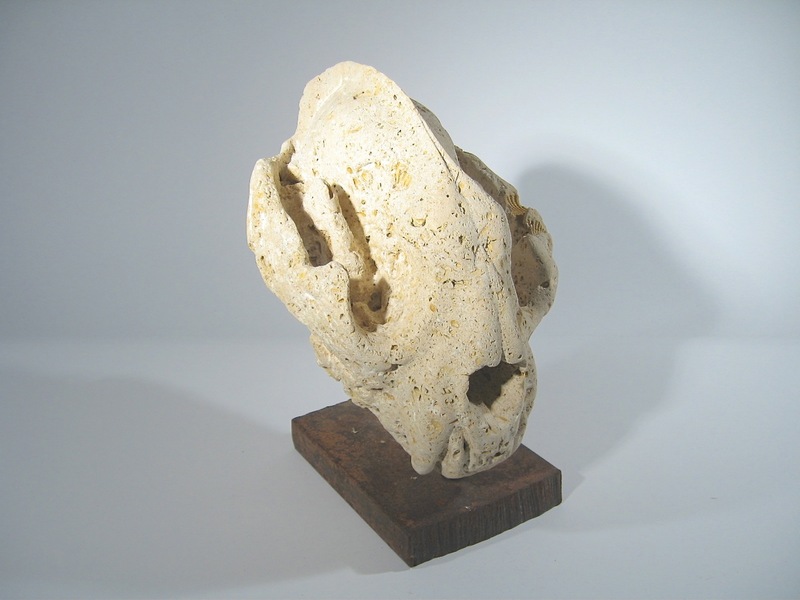 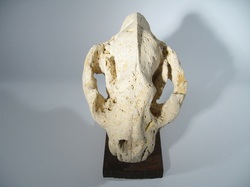 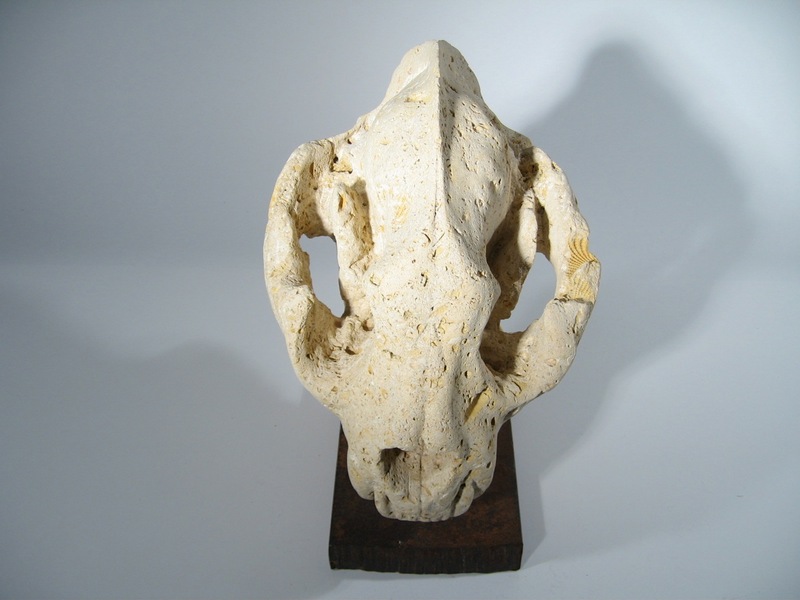 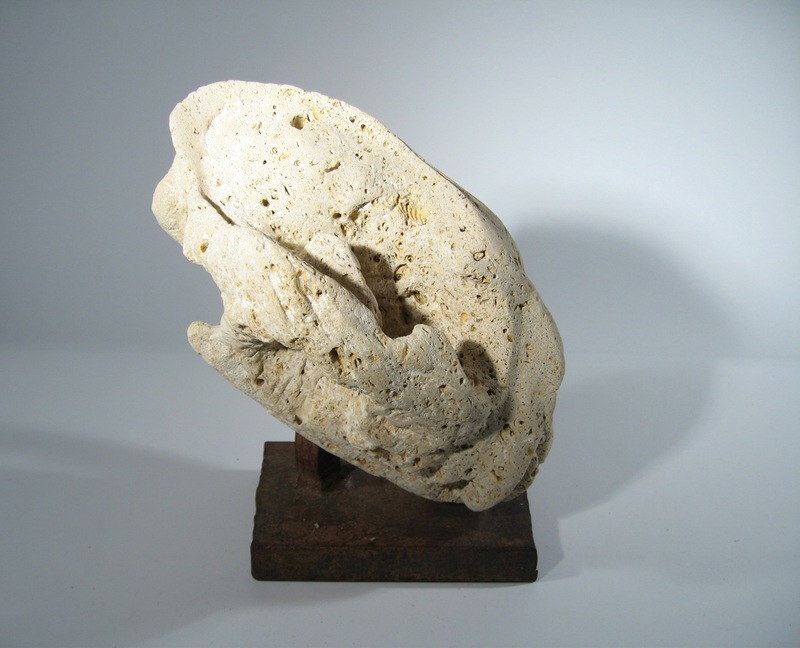 A beautiful work by Monique - hand carved cougar skull from fossilized limestone, about twice life size. 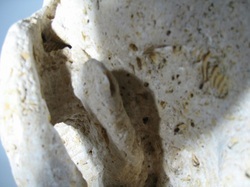 Hours and hours spent skillfully carving this sculpture. 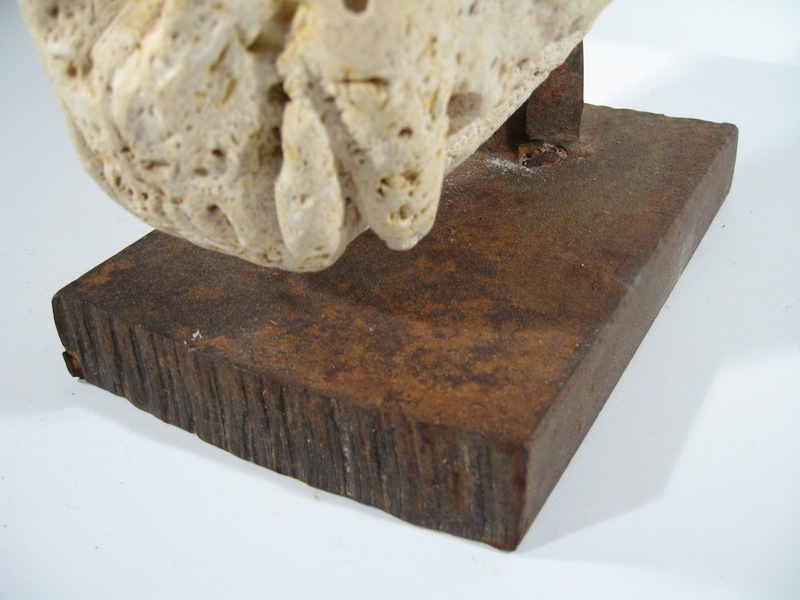 Mounted on a hand crafted rusted iron base. L 9" x D 11" x H 14"